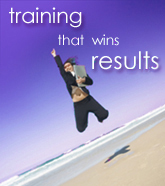 Recruitment Training (Edinburgh) Ltd was established to provide a range of training and assessment in the area of business services, and deliver a variety of vocational qualifications, computer training and testing. We also provide a free recruitment service to employers and potential employees in the Edinburgh and Lothian area. Our recently refurbished training area provides a comfortable and modern environment in which to learn. 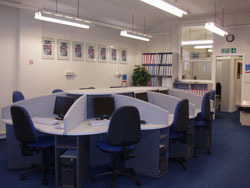 Our computer room is furnished with flat screen monitors throughout, and each computer contains the latest software packages. Whether you are interested in computer training, soft skills or a managerial course, we provide the ideal learning environment. Our flexible approach to training can be tailored to suit your needs whether at our training centre or your place of business.